For the tartare dressing, combine all the ingredients and mix well. 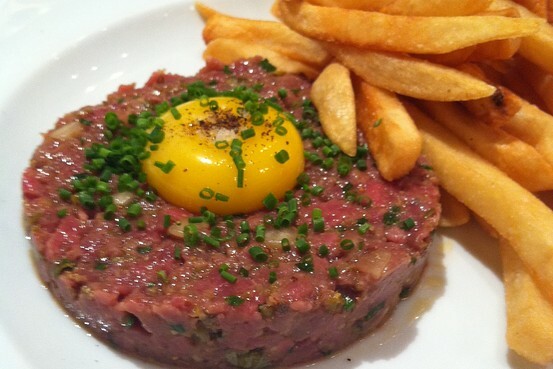 For the steak tartare, take the sirloin, remove all the fat and sinew and finely dice the meat. Then add the dressing and mix well. Taste and add more salt and pepper if necessary. Toast two slices of baguette per person and dress with olive oil and salt. Arrange the steak tartare on a plate, place a quail’s egg with the top cut off on top of the meat, garnish with the toast and serve with a side salad.